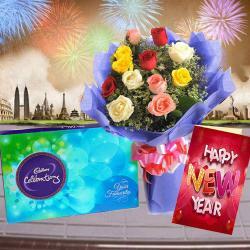 Product Consists : Bouquet of 15 Mix flowers Gerberas, Roses and Carnations with fillers in a Cellephone wrapping, 1/2 Kg Chocolate Cake along with New Year Greeting Card. 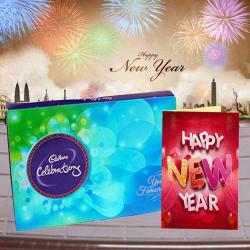 Beautifully decorated and crafted, have a look at the chocolate that we have here to make any occasion of yours special. The Cake is made with layers of rich and thick chocolate that is topped with chocolate flakes to enhance the attractiveness. 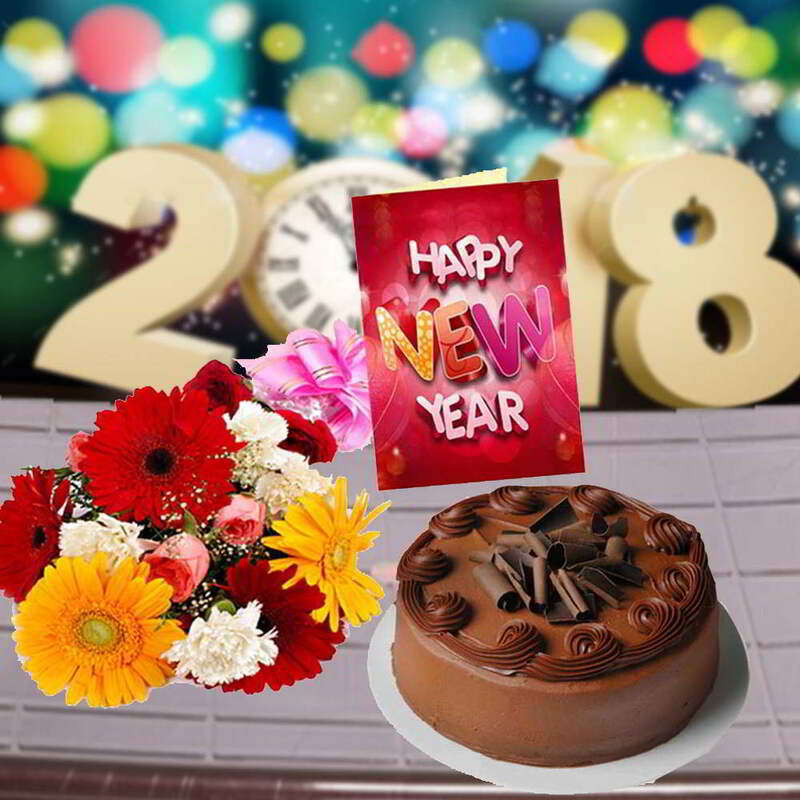 Treat your loved ones taste buds with this chocolate truffle Cake that is clubbed with mix flowers and New Year greeting card. 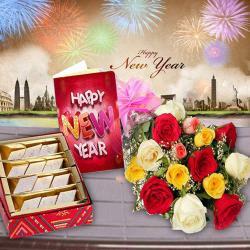 Let there be love and happiness all around this New Year. 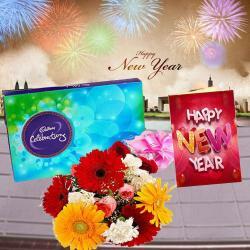 Product Consists : Bouquet of 15 Mix flowers Gerberas, Roses and Carnations with fillers in a Cellephone wrapping, 1/2 Kg Chocolate Cake along with New Year Greeting Card.